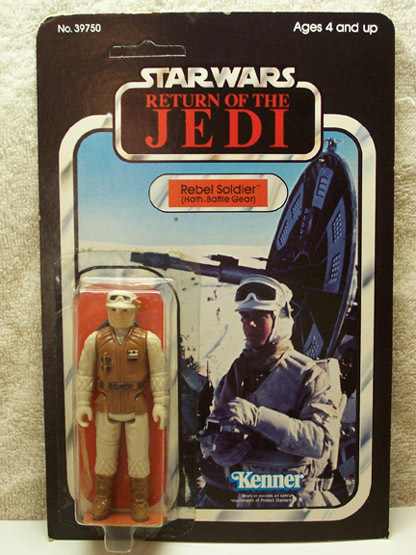 What might at first appear to be in ordinary carded Rebel Soldier figure is actually a very interesting prototype when one takes a closer look. The bubble is hand applied to a ROTJ 65-back proof card making this a mock-up of sorts, most likely used for presentation purposes. 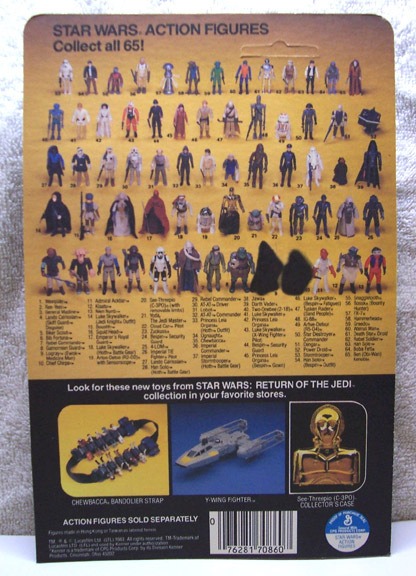 The card's back view reveals the proof card to be a ROTJ65A card version, as denoted by the airbrushed Ewoks presence. A pre-production item of this nature is interesting in its own right, but it takes on an even greater significance nestled in the collection of Broc Walker, a Rebel Soldier character collector.